CPRmeter 2 Q-CPR Performance Feedback Device by Laerdal. It is a known fact high-quality CPR saves lives. The better the CPR, the better the chance for survival. In those early, most critical moments of a cardiac arrest, the CPRmeter 2 will help first responders optimize their CPR performance by providing real-time feedback on the essential parameters of CPR. The question is, "How do you know if you or your fellow responders are consistently performing high-quality compressions at the proper depth, rate, and recoil?" The CPRmeter 2 can be used to ensure chest compressions are being delivered at the highest quality by all providers on the scene. CPRmeter 2 has two embedded sensors: one which measures acceleration while the other measures force. A microprocessor continuously measures both of these parameters during each compression. Special algorithms then convert the collected data into objective information. How is this accomplished? The accelerometer measuring the depth and rate of chest wall movement during each compression converts it into distance traveled. The force sensor measuring the force applied during CPR is used for several purposes. The most important is detecting when pressure is not fully released between compressions. In this way, the force sensor provides feedback if the responder is leaning during CPR. 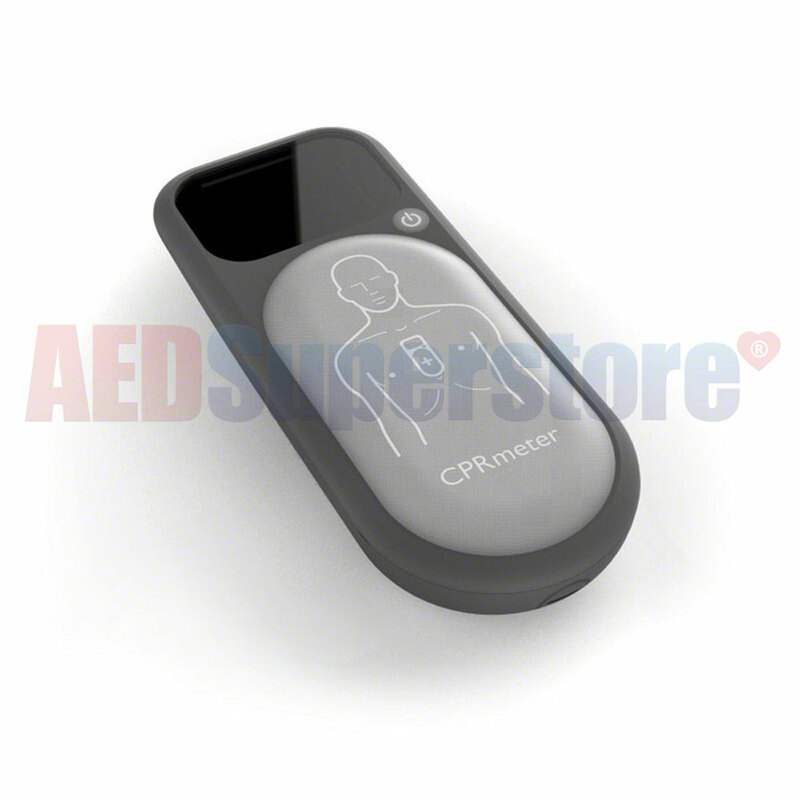 The CPRmeter 2 can remain applied to a patient's chest during delivery of a rescue shock (stop compressions and remove hands from the device, and away from the patient). The CPRmeter 2 can also be used during CPR training with manikins. If using a CPR feedback manikin, it is recommended the manikin's feedback be turned off, as manikins generally use a simplified measuring technique for a mechanical chest. CPRmeter 2 features an IP rating of 55, which means it is protected from dust and water. The low battery indicator will let you know when it is time to replace the 2 AAA batteries. The patient adhesives need to be replaced after use on a patient, or if only used in training, every two years. CPRmeter 2 utilizes similar Q-CPR* technology found in the Philips MRx, Philips XL+ and Philips FR3 defibrillators, and is designed to be used on patients greater than 8 years old weighing 55 lbs or more. The Laerdal CPRmeter 2 ships with the CPRmeter 2, red protective sleeve, 3-pack of patient adhesives, "AAA" batteries (2), and a user guide. * Q-CPR is a trademarked technology platform developed by Laerdal to help train providers deliver guideline quality CPR in real-life emergencies. This technology offers objective measurement and corrective feedback on essential CPR parameters, as well as parameter logging for subsequent debriefing or analysis.